Poems are written, names are drawn, and National Poetry Month comes to a full, exhausted close. Thanks for playing with me, and thanks for reading, writing & appreciating poetry. 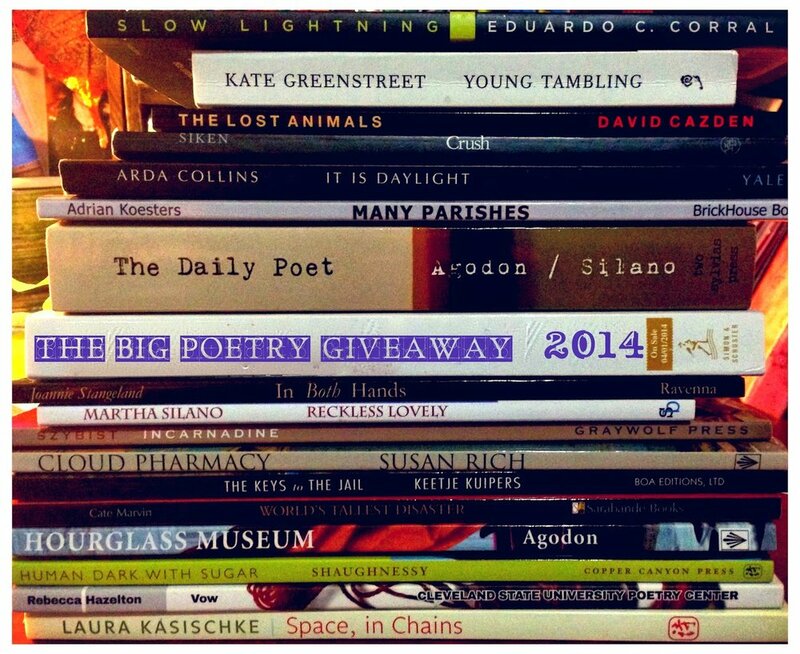 Winners of the 2014 Big Poetry Giveaway are Linda H. and Brian Wong. And, yes, we're all winners when we express ourselves. Write on! Newer PostOn Tour: What's your writing process?